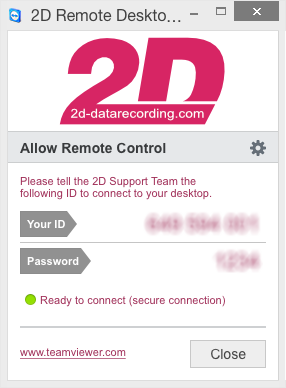 Should you, in spite of the instructions, have problems with the configuration of the 2D products, 2D support or your local dealer can use the 2D Remote Desktop Tool to access the software on your computer and help you. Provide Your ID and Password. An unauthorized use of your computer is not possible.